You may have noticed that Sites@UCI has a new look. We have just launched our new site using a responsive theme. Responsive themes work well on most devices, even mobile. 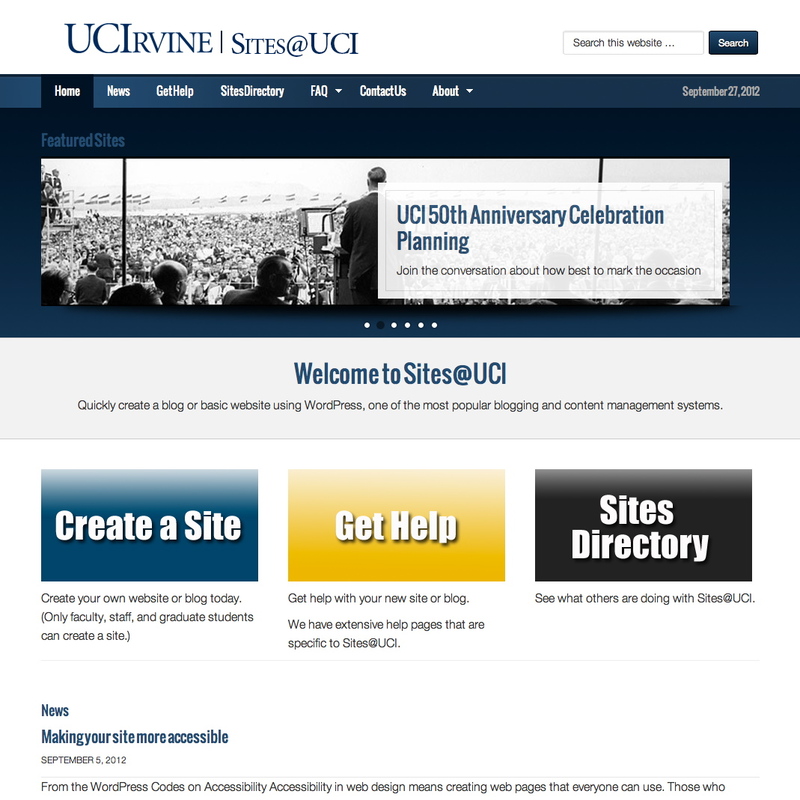 We love to show off what you are doing with Sites@UCI. Each week we look at the Sites Directory to see who has created a new site or recently updated a site. We continue to be amazed at the great blogs and sites you create. Check the Sites@UCI homepage for Featured Sites. You may just see your own! We’ve taken advantage of a secondary menu area to create a Get Help menu, making it easier for you to find our written documentation for common tasks in WordPress. We now have “breadcrumbs” on each post and page. This is a navigation aid to help you keep track of where you are in the site. They were named after the breadcrumb trail left by Hansel and Gretel in the popular fairytale. Our new theme is using responsive design. Try resizing your browser window or use your mobile device. The site should automatically adjust to fit well on most screens and devices. We hope you like the new design. Thanks for using Sites@UCI.